You may contact us for any bookings and reservations. We have over 50 various games for your kids to enjoy. Click Learn More below for extra information. Stay up-to-date with our different classes and schedule to best fit your needs. Our classes are made for children to learn, develop confidence and improve concentration. Come and explore the Kids Jungle Play care that not only offers your kids a unique, safe, fun, and interactive play, but also the comfort and peace of mind that you ask for when choosing the right play-care! Allow your kids to explore the real adventure of the jungle by providing them the right atmosphere to nurture their imagination and mimic the favorite animal they dream of; whether it’s a lion, a tiger, an elephant, or a jumpy cheeky chimp. With separate toddler and kidâ€™s play areas, our professional staff are highly trained to ensure safe and educational activities to the kids in a lovely, caring, and entertaining environment. Whether you are celebrating a baby shower, birthday or simply a party to treat the well behaved cheeky chimps of your life; we provide an exciting party destination that could be decorated as per your taste and/or per your child’s favorite animal or imaginary hero. 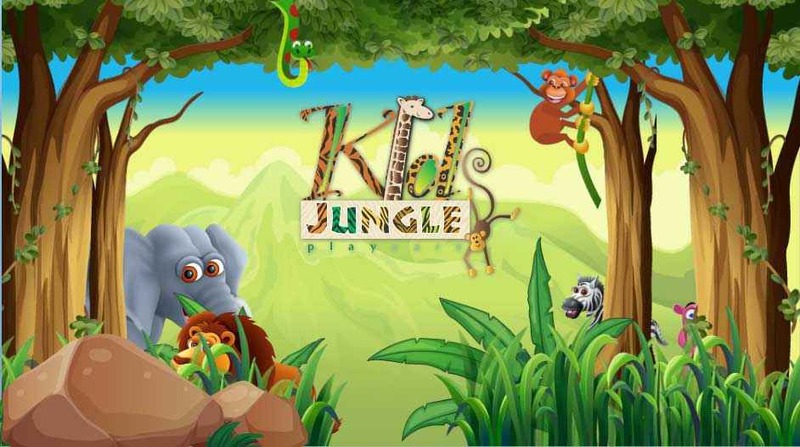 Come and Join us at Kids Jungle Play-care and give your kids the best childhood memories! It’s wonderful place very safe and fun We didn’t have such in silicon. The staff are lovely and friendly and caring, so much variety of activities for different age. Congratulation for the first successful year and many more . Well done kids Jungel. We love having kids jungle right in our neighborhood! Great way to beat the heat and sandstorms . The staff are wonderful and keep careful watch over all the little ones which we especially love. Keep up the great work! I love kids jungle! We go there all the time and my children have a wonderful time playing! The staff are wonderful and caring and we are so happy to have them in our community!